It was a scorching Thursday. Sweat was pouring down my face, and my shirt was soaked. As I was leaving the location, I overheard a supervisor having a conversation with an employee. I stood by (without being noticed) and listened to what was being said. It seemed to be a one-sided conversation from the supervisor to the employee. I overheard the supervisor insult the employee over 5 times within 8 minutes. He kept telling him how “stupid” he was and how a 10-year-old could do the job better and more efficient than he would ever be able to. The conversation and subsequent insults continued for another five minutes before the supervisor finally stopped and told the employee to go back to work. Will firing a person solve the overall performance issue? What action (or lack thereof) generated the conversation? Did he feel his approach was effective? Have you had previous conversations with this employee over similar circumstances? Do you feel you clearly and more effectively communicated your expectations to this employee? What could he have been done to involve the employee in identifying why he is not meeting your expectations? Do you feel you are an effective leader? Our conversation went on for quite some time. I could tell the supervisor was frustrated and had no idea where I was going and why I was asking so many questions. Typically, no one would question what a supervisor was doing and why. However, after some time and many questions, he finally admitted that he could have handled the situation differently. I asked him what brought him to that conclusion? He said he realized that embarrassing a person and threatening their job was not very effective. He also stated that he now figured out why his crew will not talk to him or interact in conversations. He went on to say that he realized they were not interested in a relationship and they were afraid to say anything. The next question is obvious, “What did he think he needed to do to change or correct the situation?” The supervisor looked at me and then the ground and back at me and said, I need to have a talk with the whole group and maybe start over. I agreed, shook his hand and walked away. As I was walking back to my vehicle, I realized something. Regardless of position, coaching is critical to effective leadership. If one can’t coach employees, are they able to influence? We know leadership is influence, John Maxwell made that clear. I believe the answer is no. 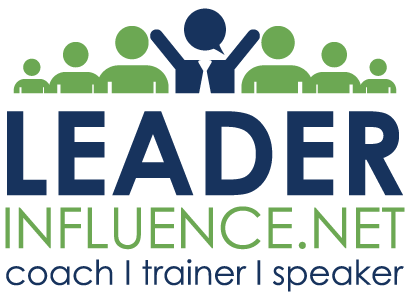 If you want to become an effective leader, then you must become a competent coach. What is coaching? Coaching is a conversational process that aims to improve performance by focusing on the current or immediate performance and not the past or future performance. The coaching process is designed to allow a person to arrive at their own conclusions or solve their own problems by just honestly answering the questions from the coach. Don’t let the word “coaching” confuse you. The coaching process doesn’t mean there is a hands-off approach, but rather an environment of involvement in the employees or groups progress. One must move from a “checking and monitoring” philosophy to a progressive process for encouraging improved performance. Employees are not free to do as they wish; but are held accountable for their overall performance and meeting the established goals, plans, and timelines. To be active in the coaching process, you must become familiar with the basic principles of coaching and how it works. To get a better understanding, I’ve identified six principles you should remember when coaching. Ask Don’t Tell. A coach is NOT an expert who gives advice, but rather someone who asks practical questions to bring the individual to their own conclusions. Answers are Within. The answers are ALWAYS in the individual, the person is just not conscious of them at the time. The coaches job is to bring the solutions forward. Power is the Process. The power is in the process NOT the coach. No need for Experts. You do NOT need to know how to do something OR be experienced at it to coach someone to greater performance. Answers Inform, Questions Transform. The more non-directive you are (in questioning), the more powerful your influence. Asking a particular kind of question is the key to achieving the answers. The Process Works. Realize that coaching brings self-discovery, awareness, clarity, responsibility, and choice, it makes the unconscious, conscious. What will coaching do? It will build stronger bonds between you and your employees. It will also help them improve their performance by learning to identify and solve problems and issues before they affect performance. Coaching is an excellent way to increase influence and improve employee performance, thus strengthening your leadership. Previous Post Previous post: Are You A Leader? Then You Must Be a Learner!